Now that all my USCIS paperwork has been successfully concluded, over the past few weeks I’ve been carrying out temporary work in Downtown Jacksonville to keep myself busy. 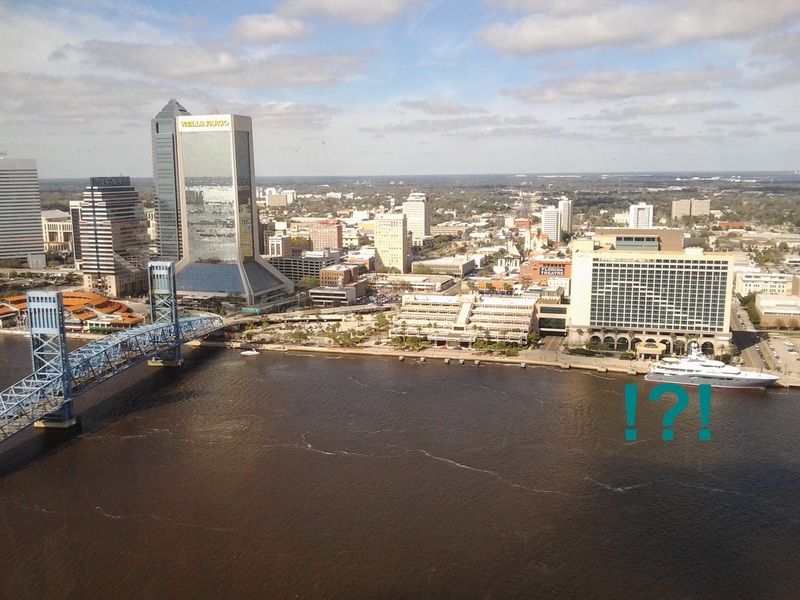 I’ve had the fortune of working for a company located on the 25th floor of the one of the statuesque office buildings dotted around the banks of the St. Johns River, and from this magnificent vantage point I’ve been able to enjoy the amazing view, as well as observe the traffic on and above the river. On my very first day at work I noticed a huge, sleek yacht moored outside the Hyatt Regency hotel almost directly opposite me. It was a pretty impressive boat and very distinctive when compared to the more modestly sized water craft travelling on the St. Johns River. I went home intrigued as to who owned such a yacht. The gun metal colour hinted at a military purpose, however she looked to be a cruising, recreational beastie and so I was sure she belonged to some Florida celeb, businessman or football player. 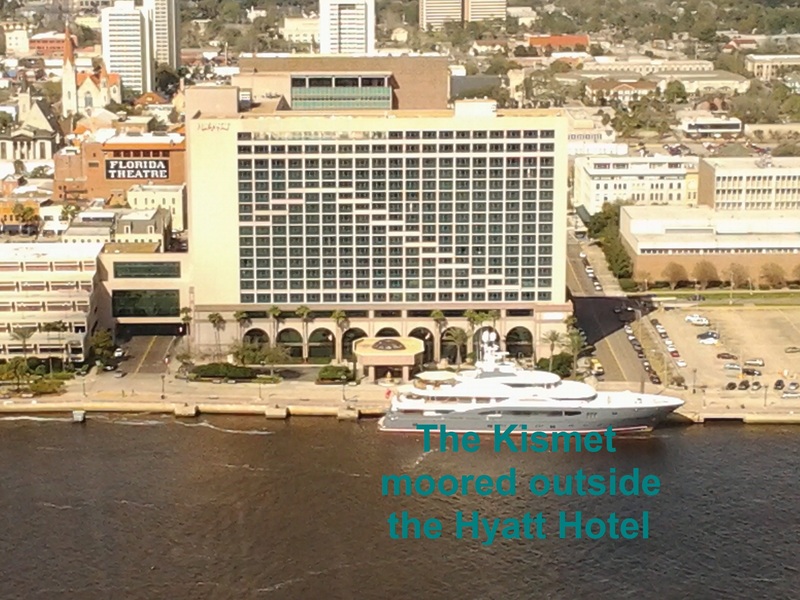 I went home and did a Google search (other equally excellent search engines are of course available) with variations on boat/yacht + Jacksonville + Hyatt + St Johns River and came up with a whole host of sites and bloggers also wondering who the impressive boat belonged to. After tweaking my search to display more recent results, I discovered that the yacht belonged to American businessman Shahid Khan, locally famous for his latest purchase in November 2011 of the Jacksonville Jaguars team for a cool $760 million. Although he is an undeniably successful businessman, with a very motivating personal story of success starting with his immigration to America when 16-years-old all the way up to his current multi-billion dollar fortune founded upon his automobile parts manufacturing business, this recent purchase was a big one and no doubt had him scrambling behind sofa cushions and in old coat pockets for spare change. This instantly made me a little sad as I had grown accustomed to seeing the yacht each day, and had got into the habit of mentally saying a cheery good morning to it and everything encompassed by my 25th floor view each time I came into work (note that I give a silent, “Hello,” to the yacht, not an audible one. I enjoy the work that I do, don’t want to freak out my colleagues and would like to remain where I am and not be carted away to a padded room, thank you very much). On the upside, until it finds a new owner and if I can scrounge together at least $1.4m I can rent the Kismet for a Caribbean cruise during the winter months for $600k, and then I can again rent it for a summer holiday to the Mediterranean for $789k. Time for me to raid old coat pockets and check behind the sofa cushions! The boat is very impressive, and is still a relative baby having only been built in 2007. It was built by Lürssen, a German shipbuilding company, and the Kismet is expensive enough to have its own website, however thankfully does not have its own spoof twitter or facebook account. The sale is being handled by the Moran Yacht & Ship Inc and they’ve included information about the Kismet on their own website, and it was again Moran who also handled the Kismet’s previous sale back in April 2010 (not sure if it was in the hands of Shadid Khan then or not) when they listed it for an asking price of €95 million (equal to approximately $125 million): sadly the recession has forced them to take approximately $13 million off of the boats resale value, or maybe luxury yachts depreciate by anything up to $15 million p/year or p/owner. 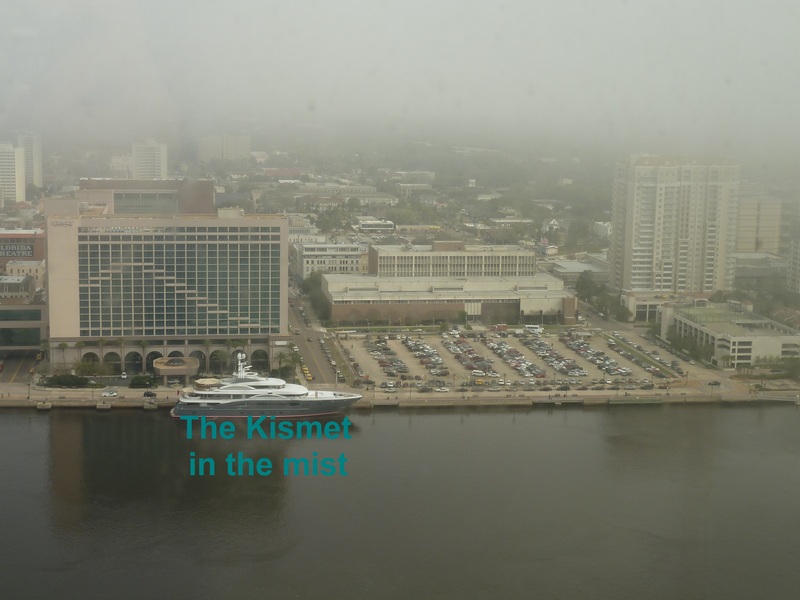 Anyhow, while it’s still moored outside the Hyatt and while I’m still working on the 25th floor I will continue to say a silent, “Good morning,” to the Kismet. 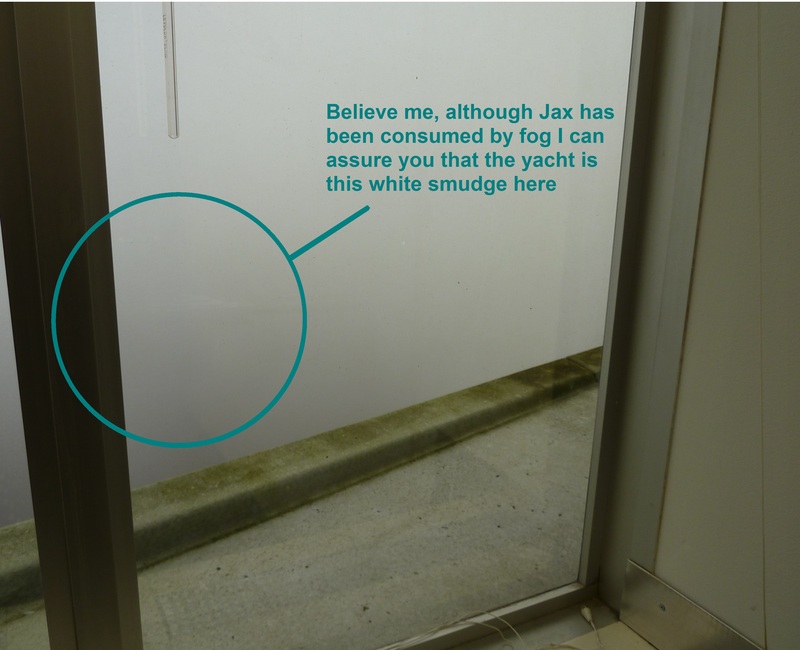 Don’t worry your not a mental, I work in Jax as well and I also find it oddly comforting to see the Kismet (I didn’t know it had a name) each day. I’ll be distraught when it gets sold and will have to instead make the river taxis my new obsession. Next Post Another Tragic American School Shooting. Why So Many?